Your #1 Resource For Firearms Reviews, Survival Gear & More! Thanks for stopping by ArmsBearingCitizen.com. We are a couple of gun enthusiasts from the south that originally started this site because owning a gun in America is a Constitutional Right. We figured that our knowledge could help just about anyone out there that’s just getting started in the world of shooting and survival gear. Trying to figure out which survival gear you need can be a tough road to navigate, but we feel that with our experience, we can continuously provide you with the information that you need in order to become a better shooter, outdoors enthusiast or someone just looking to keep their firearms secure and having a hard time finding a good gun safe. We plan to add new reviews and information to our site all the time, but below is just some of the basics that you can expect to get from us here at our site. Firearm Reviews: We’ve started breaking down some of the top .22 rifles on the market in 2016 and we plan on going into even further detail with many different types of standard rifles, Assault Rifles as well as handguns and more. Right now we’ve just scratched the surface of what we plan to dive into with our data. Most sites out there tend to ignore how popular shooting has become for women, so we’ve started outlining several choices of firearms for women, starting with semi-automatic handguns. Gun Safe Reviews: Our full gun safe reviews comparison guide breaks down a wide variety of all the safes on the market in 2017 and going into 2018. We’ve compared several gun safes that you might need next to your bed, gun safes for your vehicle, the best overall biometric gun safes and even humidifiers. Firearms For Survival: We’ve tested a lot of different guns to find the best firearms out there in survival situations. We’ve tested the firearms in many situations and have spent a lot of time up in Northern Arizona putting our survival skills to use in order to provide you with complete review guides for what firearm is the best in each survival situation. Rifle Scope Reviews: With our extensive experience shooting guns at the range, we’ve been able to meet a lot of great people that have given us the opportunity to test out many different types of rifle scopes. We have spent a lot of time testing out the best rifle scopes for our favorite .22 rifles, as well as countless other guns that we have in our collection. We’ve also spent a lot of time shooting our AR-15 and vetting out the best rifle scopes for an AR-15 as well. We’ve also spent some time with a few other unconventional rifles doing some rifle scope testing like the ones we equipped on our relative’s Mosin Nagant, our Dad’s 30-06 and our neighbor’s AR-10. We’ve also spent a ton of time putting together a nice list for you to grab a scope for your shotgun if you decide to make it into a piece of tactical weaponry. Gun Safety: When we were new to the firearms world, we spent a lot of time trying testing different types of handguns and rifles at the local range. Guns are not only important to be locked up, but you need to know how to handle a firearm effectively and we plan to show a lot of details in this area as well. Shooting Tips: Safety should be the first thing every new shooter should be looking to learn, but once you feel you’ve understood the proper way to respect a gun, we will be sharing some of our shooting tips and giving you some good tutorials like this one that walks you through zeroing a rifle scope. Gun Cleaning: You’d be surprised how many people don’t know how to field strip a gun. We will be providing some pretty detailed videos in the future of how to field strip some of our favorite firearms like the AR-15, our custom Remington 1911 and our favorite 9mm, the CZ 75 SP-01. Firearms Accessories: We love shooting, plain and simple. We also love accessorizing. Firearms can be like building blocks for adults. Customization is becoming popular just like accessorizing. We’ve done some work in the area of customizing our favorite rifles to doing some in depth shoulder holster shopping and are here to provide you with the information that we’ve learned along the way. This is just a taste of what you can expect to see from us here at our site. We’ve got a lot more planned on the menu in the next year and hope that you find all the information you need to be a stronger shooter and stronger survivor so you can handle anything that might possibly come at us in the future. 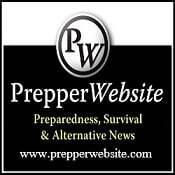 With today’s political and economical climate in the United States, there’s no such thing as being “over-prepped” and we hope that we can give you a great resource of free information that will keep you and your family ready at any given moment. Thanks for taking the time to stop by our site and we hope you enjoy!